Supplying your ZIP Code allows us to provide you with specific information on the products, services and support options that are available in your area. Your information will not be retained for marketing or other purposes without your consent. Service is available in your area. The ZIP Code you entered is not serviceable by Zito Media. Zito Media high speed internet! Say goodbye to the “world wide wait” with High Speed Internet from Zito Media. At Zito Media, we know WiFi. We also know that when you’re out and about using your devices, you expect your communications to be safe and secure. 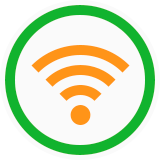 Zito offers wireless Internet connections in popular community areas. Now take the same High Speed Internet you get at home with you. Whether you have laptops, tablets, smart TVs, smartphones, or gaming devices, connect anywhere in your home with our easy to use Home Wireless Networking. Zito High Speed Internet and our new DOCSIS 3.0 cable modems use the latest and most advanced WiFi technology, so you can enjoy better streaming, faster downloads, and more sharing for all your family and friends. © Copyright 2015 Zito Media. All Rights Reserved.